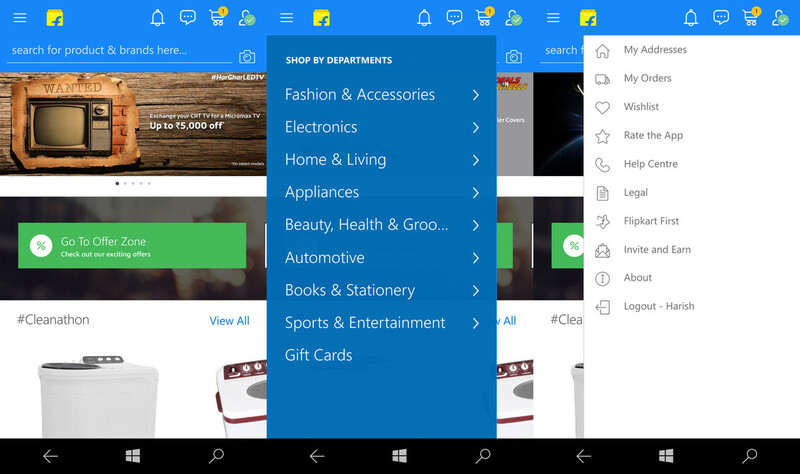 We told you while Flipkart Universal App was in Beta, and was testing their new app for Windows 10 users, the good news is that after testing the app in beta form, Flipkart has rolled out an exciting update for all it's users. 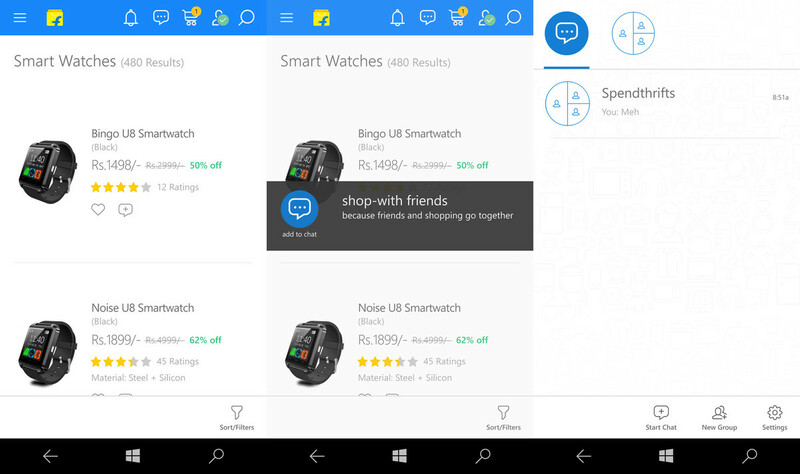 Updating the app from version 3.0.1.0 to 3.6.0.0, it brings out a new user interface and a slide out menu, ping based shopping assistant, like n share features and much more. The "My Account" Tab has now moved to top right side of the UI, giving you access to your recent orders, your history, saved items, wishlist and customer support information. 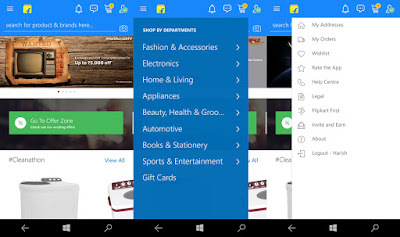 The slide out menu will help you directly move to a category from where you wish to shop from. The Ping based Shopping Assistance feature is a chat engine which would help you ask your friends if a special item you like is a good buy or not. It's really good for those who wish to surprise their friends or partner by buying them some special gifts. There hasn't been any change in the official change-log or the screenshots on the Microsoft store, but we have got these details from a special source of beta testers of the app. Click on the link below to download the updated Flipkart Universal Application. Let us know you are able to find out more changes or you can share your feedback in the comments section below.